ESA is in partnership with top European fashion schools to harness next-generation technology and explore the future of fashion. The Couture in Orbit project is bringing space back to Earth through designs from some of Europe’s brightest fashion minds – tasked to develop desirable and practical clothing, incorporating technology to make life better. 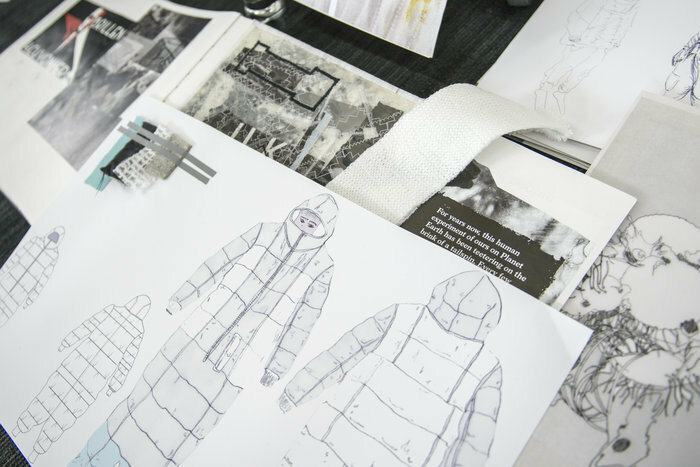 Fashion schools in Paris, London, Milan, Copenhagen and Berlin are each assigned a theme linked to ESA’s ethos of sustainability, climate protection and recycling. These themes include technology, environment, innovation, health and sport. At the same time, all designs must be practical for daily use. The schools are taking inspiration for their designs from the mission experiences of ESA astronauts from their own country. Whenever possible, they have talked directly with their national ESA astronaut to learn more about topics such as Earth observation, climate monitoring, health and nutrition – as well as details of everyday life in the void beyond our homeworld. Each school has its own sponsors to supply state-of-the-art technology and textiles for the new garments. From tracking the wearer’s movement and generating usable electricity, to regulating their temperature and transpiration, each school will design and create clothes that integrate these technologies. The project will culminate in a full-scale fashion show at London’s Science Museum in the UK, where the final designs from the five participating design schools will be modelled on catwalks. The project incorporates new approaches to wearable technology and fashion thanks to technical sponsors from Europe. In addition, fabric sponsors are contributing materials and knowhow. ESA, the ESMOD Berlin International University of Art for Fashion and the Science Museum in London have selected six designs by Berlin students for a fashion show at London’s Science Museum in May. The young fashion designers are taking part in the “Couture in Orbit” project, taking their inspiration from space flight technologies and missions to the International Space Station. 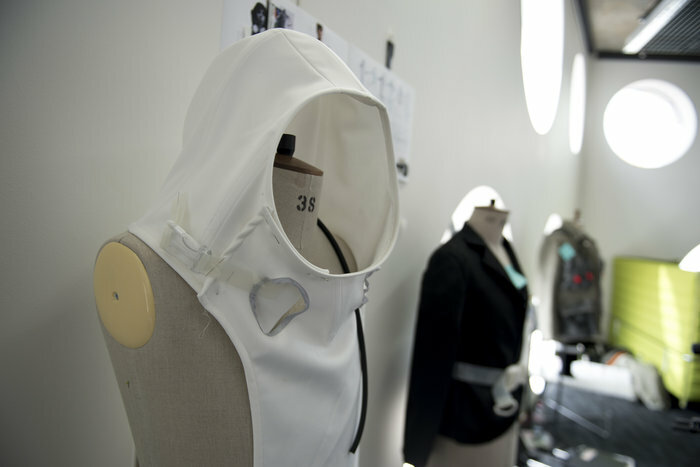 As part of the “Couture in Orbit” project, ESA and London’s Science Museum have set leading fashion schools across Europe the challenge of designing clothes inspired by space flight and which offer specific benefits for our everyday lives. 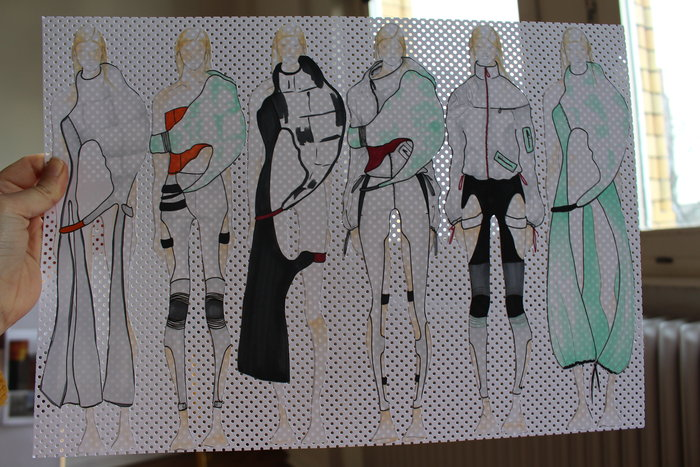 In Germany, 13 Bachelor students of the fashion design course at ESMOD Berlin have been busy in recent weeks doing research, drawing sketches and even getting hands-on with materials to design practical and futuristic clothing incorporating innovative space technologies to create specific benefits for the wearer. “We set them the task of designing every-day fashion items inspired by the ‘Blue Dot’ mission of Alexander Gerst. 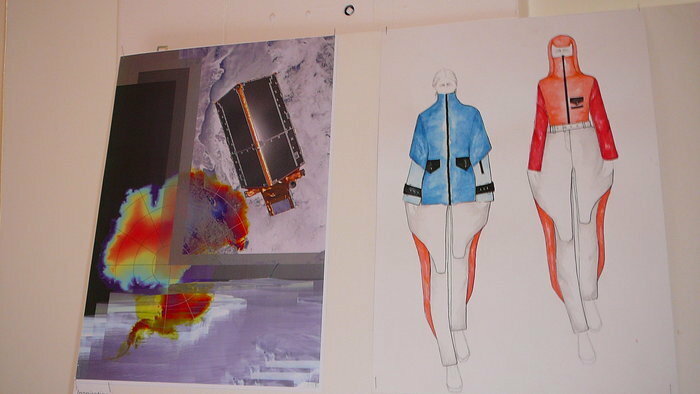 They would ideally also be guided by the themes of earth observation and climate change – which are two of Alexander Gerst’s particular areas of interest,” explains Rosita Suenson, Coordinator of the “Couture in Orbit” project at ESA. ESA’s Technology Transfer Program (TTP) and industry sponsors are supporting the project by giving the students access to innovative materials and space flight technologies. High-tech functional textiles are being provided by Sympatex, Bionic Yarn and 37.5® Technology by Cocona®. The company Xsens is making 3D motion tracking sensors available to the students, so that they can incorporate them into their designs. A jury made up of representatives from ESMOD Berlin, the Science Museum in London and ESA narrowed the 13 designs down to a selection of six. These will be presented at a fashion show at London’s Science Museum on 25 May 2016 as part of its “Lates” series of events. “Lates” is an open night at the museum dedicated to a particular theme that takes place once a month. The “Space and Fashion” event in May will also feature designs from the other participating fashion schools. “I am truly impressed by how well the students have run with this concept, which I had presented to them, and by the high standard of the designs they have produced,” declares Rosita Suenson. The professors and lecturers at ESMOD Berlin have also praised this forward-looking cooperation with ESA and the project partners that have come on board. “Our students are learning a huge amount by developing their sculptural and experimental design skills while also incorporating innovative technologies and a strong functional element into their work. They are very much looking forward to presenting their designs to an audience of representatives from science and fashion,” comments Ramiro Alvardo, Professor of Design Modelling.